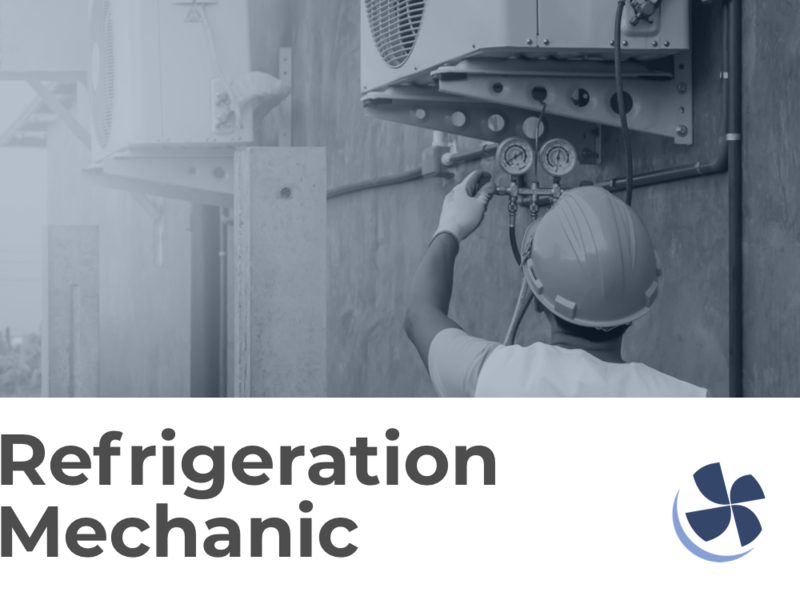 If you’re thinking about a career as an HVAC/R technician, then you may want to take that one or two steps further and specialize as a commercial refrigeration mechanic. Or, as they call it in the industry, a “refer guy.” In short, you’ll specialize in commercial refrigeration. Your advance knowledge is rewarded with a better paycheck than your fellow HVAC/R techs—and they already make a nice sum! As a refer guy (or girl), you will need to have some serious skills: You’re working on some big and oh-so-sensitive stuff. If you don’t know what you’re doing, you could potentially be blown into smithereens, and that’s simply unacceptable to those who love you. However, when you’re a full-fledged refrigeration mechanic, there are career-specific "must knows" that come with the job. There will be special tools and equipment used to repair or install the commercial refrigeration units that you’ll have to be proficient with. Reading blueprints provided by manufacturers will be an important aspect of your job; you need to know how to properly install the equipment. Testing to ensure the equipment is running properly falls on you, as well. You installed it; you make sure it’s working. Seems fair enough. And, if you mess it up, you’ll have to fix it—so it bears repeating that being able to troubleshoot is a definite must. You’ll start out in your education process much like the rest of the HVAC/R tech wannabes. Trade school: It takes six months to complete trade school, and you’ll get a certificate upon completion. Community college: Programs take two years to complete if you attend full time. An associate degree will be awarded at graduation. Some people are able to be trained through an apprenticeship, and that takes 3-5 years for full training. Fulfillment requirements vary by state. Any person handling refrigerants must be licensed. The license you need will be determined by the type of coolants you’re dealing with. Learn more about the types of certifications anyone in HVAC needs. Refrigeration mechanics need the Section 608 card, and your training will presumably prepare you to pass that exam with flying colors. Every state has additional requirements that you’ll need to satisfy. For example, some states may expect you to have an additional 4,000 hours of on-the-job training, plus 48 classroom hours, plus an apprenticeship or 2-5 years in the field in order to take the certification exam. Your actual training will be given by a senior refrigeration mechanic, who will impart his or her learned wisdom onto you. Very often, refrigeration mechanics will earn additional certifications that make them stand out to potential employers. It’s always a great idea to stand out! It’s hard to pinpoint an exact salary for refrigeration mechanics. Salaries online range from $30K through the high $90Ks. Your salary will be determined more by the industry, company, state, and experience. The longer you work in the field, the higher your salary will be. It’s definitely a good time to go into HVAC: The employment growth is much faster than the average for other careers. There will be close to 50K new jobs opening through 2026 throughout the entire HVAC industry. Maintenance and repair work will remain the mainstay for most HVAC professionals, but new installs will pop up every now and again. Find an HVAC school near you.